- MINI SIZE - this size is only available with 3cm holes. 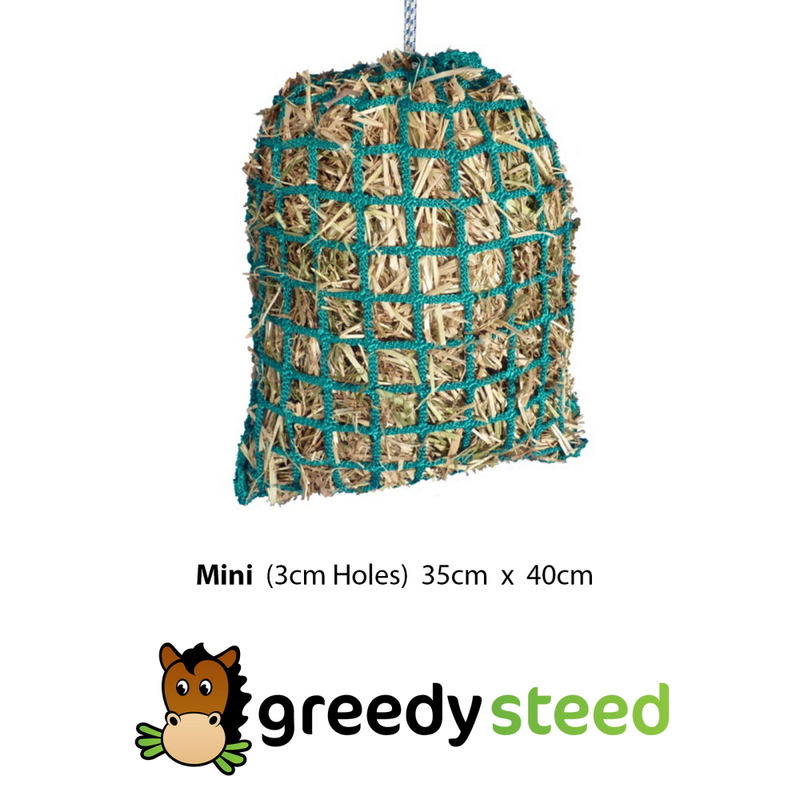 Extra Greedy Steed - MINI - Premium Knotless Small Holed Hay Nets hold loose hay or up to 1/3 Hay Biscuit + loose hay. The drawstrings on Greedy Steed Premium Nets are a different colour to the net, so they are easier to find. 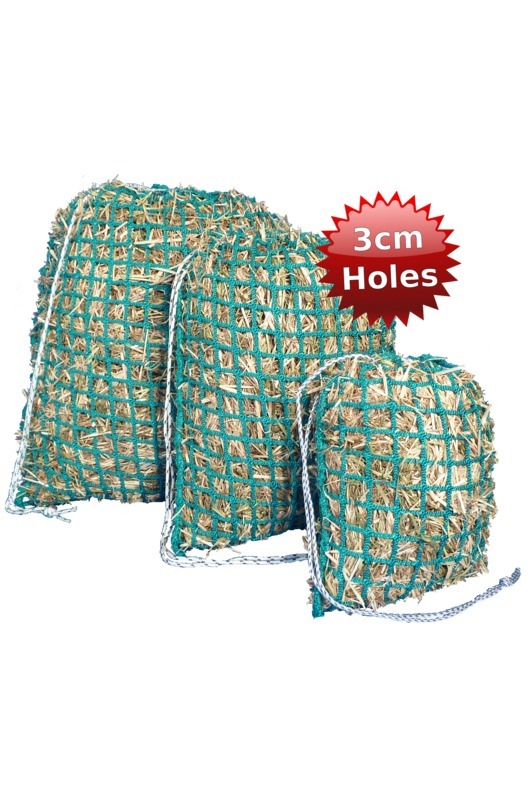 Popular for use with Miniature Horses on a strict feeding regime, pet rabbits, guinea pigs and alike.